Did you know that Nutrisystem, Inc. has been helping America lose weight for over 40 years? Through Nutrisystem’s comprehensive program, they’ve remained at the forefront of the weight loss industry, and became a publicly traded company in October of 1999, the same year they launched their innovative website, www.nutrisystem.com. Nutrisystem introduced live counseling by phone or online which paved the way for a new breed of weight loss companies. They replacing traditional customer visits to centers, and created a new way for people to deal with weight issues privately. Nutrisystem provides a convenient way to learn how to lose weight and live healthier. And with over 150 perfectly portioned® entrees and snacks on the menu, you’re sure to find all of your favorites. They also offer vitamins, supplements, cookbooks and a host of other tools created to maximize weight loss success. So what are you waiting for. Now is your chance to get the body you have been dreaming of. 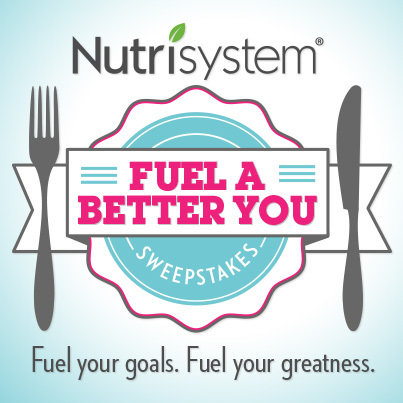 Go to the Nutrisystem Facebook Page now and enter for your chance to win.